We’d love your help. Let us know what’s wrong with this preview of The Falcon's Revenge by J.E. Holling. What has a war orphan, a terrorist organization and an F-16 fighter jet got in common? The answer is the motive, method and means for revenge. Prior to the start of Operation Enduring Freedom a young Afghan boy’s parents and younger brother are accidently killed and his sister critically injured by American commandos. The seed of motivation is planted. A terrorist organiza What has a war orphan, a terrorist organization and an F-16 fighter jet got in common? The answer is the motive, method and means for revenge. Prior to the start of Operation Enduring Freedom a young Afghan boy’s parents and younger brother are accidently killed and his sister critically injured by American commandos. The seed of motivation is planted. A terrorist organization called the Warrior Brotherhood provides the method by nurturing that seed to adulthood; by indoctrinating the young man with radical religious and political beliefs. When he’s an adult he learns to fly and joins the fledgling Afghan Air Force. The third leg of the triad is complete. He is sent to the United States to learn how to fly the F-16, aka The Fighting Falcon. He finally has the means and soon the opportunity to exact his revenge. 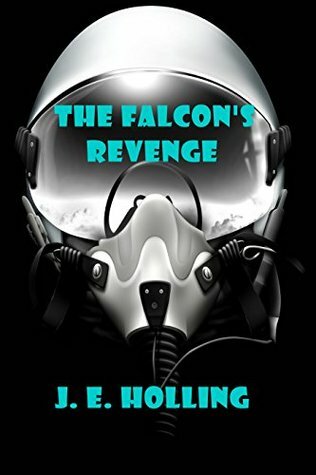 To ask other readers questions about The Falcon's Revenge, please sign up. Warrior brotherhood is a deadly secret organisation. Revenge is powerful motivator. They hatch a plan to assassinate president. Eric Tyson and Ex FBI agent will have to step in to thwart their plans. Will he be successful? This is a ok thriller. 3/ 5 stars. I enjoyed this book and I suggested to everyone I know to give it a try. This is definitely different than what I have read in the past but once you start reading it, you will not be able to put it down. I know the authors daughter and I so glad she suggested I give it a try. I can't wait to read more from Mr. Holling.